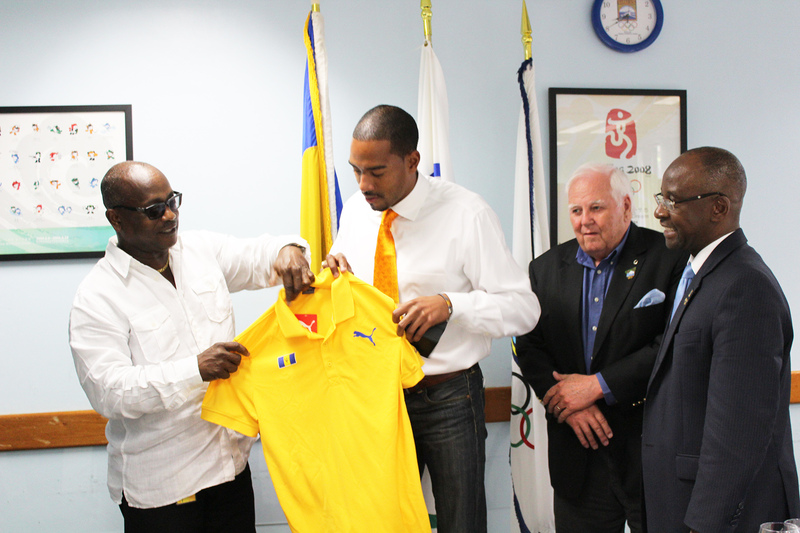 Double Olympic Gold Medalist Christian Taylor Visits the BOA – Barbados Olympic Association Inc. The Barbados Olympic Association Inc. held a special lunch in honor of American triple jump gold medal star Christian Taylor at its headquarters on Friday, September 23. In welcoming Taylor, whose parents are both from Barbados, President Steve Stoute said that it was a privilege for the BOA to host such a distinguished athlete. “We at the BOA feel quite privileged that Christian would make Barbados one of his first stops since winning his second Olympic gold medal in Rio. I know that since his first visit with us, Barbadians have been cheering for Taylor as one of our own so we are very proud to have him here with us today, Stoute told guests. Some of the persons in attendance. Taylor had previously visited Barbados in 2013 and has openly expressed his wish to compete for Barbados and has already applied for citizenship. From left: Noel Lynch, Christian Taylor, President of the BOA, Steve Stoute and Minister of Sports, Stephen Lashley. Following lunch Taylor presented the President with a gift of cheque as a symbol of his commitment to sports in Barbados. 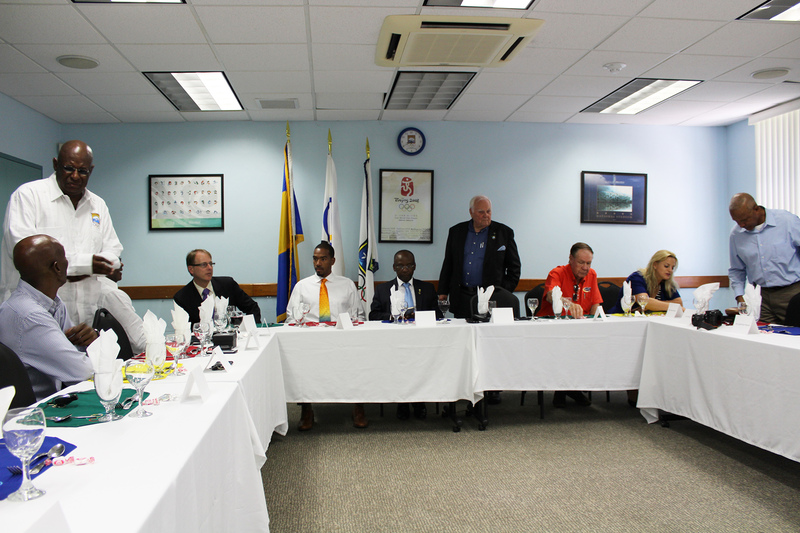 A number of officials joined executives of the BOA at the luncheon including the Minister of Sports, Stephen Lashley and the American Consul General, William Bent. Taylor was accompanied by his father Ian and grandfather Grantley Taylor.